These two wearables feature IPX7 protection from water, GPS tracking, voice recording/playback, as well as two-way calling. While most wearables available on the market target adults with a busy schedule and those trying to stay in shape, there is a market for kid-friendly wearables as well. 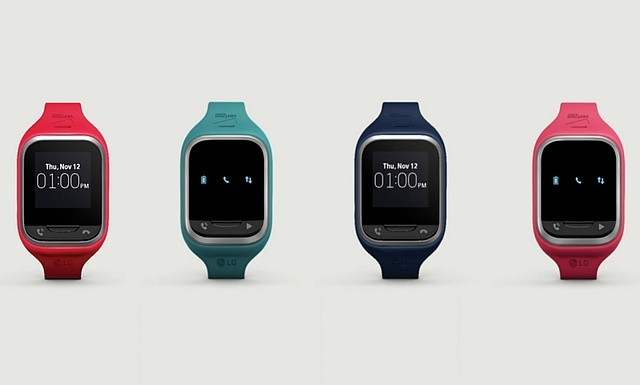 Although there are not many smart wearables for kids around, these portables can help parents interact with their kids and track their movements like never before. LG is one of the few companies trying to capture this market, and GizmoGadget and GizmoPal 2 are its latest wearables for kids. Both devices mentioned above are exclusively available via Verizon Wireless. While the GizmoPal 2 features LED status lights for alerting the kid of incoming messages or calls and a GPS locator to bring their parents peace of mind, the larger GizmoGadget has a 1.3-inch touchscreen, pedometer, jump rope counter, as well as the ability to send emojis and pre-recorded messages. Parents can define GPS boundaries with real-time notifications and more thanks to the freely available GizmoHub app, available for both iOS and Android. LG GizmoPal 2 and GizmoGadget require a $5 USD monthly access fee and can be already purchased from Verizon for $79.99 USD and $149.99 USD.